TRUST ME !! YOU will be FANTASTIC ! 2 Brewers Karaoke bar had not one, but TWO disco balls. the stage was 100% encrusted in silver glitter and drenched in red spot light. A piece of paper reading ‘Reserved for Diana’ was placed on a front row table. We noticed the reserved signs on a few of those tables. But when the regulars came in, they didn’t matter. They were dragged and lifted so that everyone could sit together. In the words of one regular we met, Jack, “everyone here will get up and sing”. The night’s host - Kevin Walsh - has been running his Backing the STARS Karaoke night every Tuesday for the last 12 years. He says that he “does it different”. That it doesn’t matter if you’re good or not, but you should get up there and do it - not mess about. Karaoke has been interesting to me every since I watched one of the worst singers I’d ever heard in my entire life perform Wind beneath my wings in a pub in Blackpool. She couldn’t get a single note, but watching her give it everything she had - like really mean each word - made me feel genuinely emotional. I mean just the stark truth that there was no real glory in it, this wasn’t the X Factor, she wasn’t singing for the chance of a record deal or a spot on TV. When else do people get up and sing in front of everyone just because they like the song or they like the act of singing itself? NEVER that’s when. Backing the STARS is a karaoke night that gives people a chance to do that, and its karaoke with a difference. For a start - nobody was really drunk. One of the women I met was even a teetotaler. Karaoke and booze had always gone hand in hand for me - it’s the reason why I was anxiously nursing a large red whilst silently wishing I hadn’t submittedGangster’s Paradise as my song of choice. This wasn’t about messing around for these guys - it was serious business. One guy even had backing singers come up on stage with him. I asked him after how he knew them, and he said he’d met them at this very karaoke night. One of the backing singers told me music was her life, before blushing to tell me that she’d won a karaoke competition here one time and was made up for weeks. Dan Perino put up ‘looking for a girlfriend’ posters round NYC and became a hero. Alfred Ajani held up his 2:1 degree in Marketing at Waterloo Station and made the papers. A kid at the Women’s March waved an I love trains banner and became the queen of facebook. These acts may not seem experimental, but the physicality of them astonished people. There were hidden messages behind these literal statements. 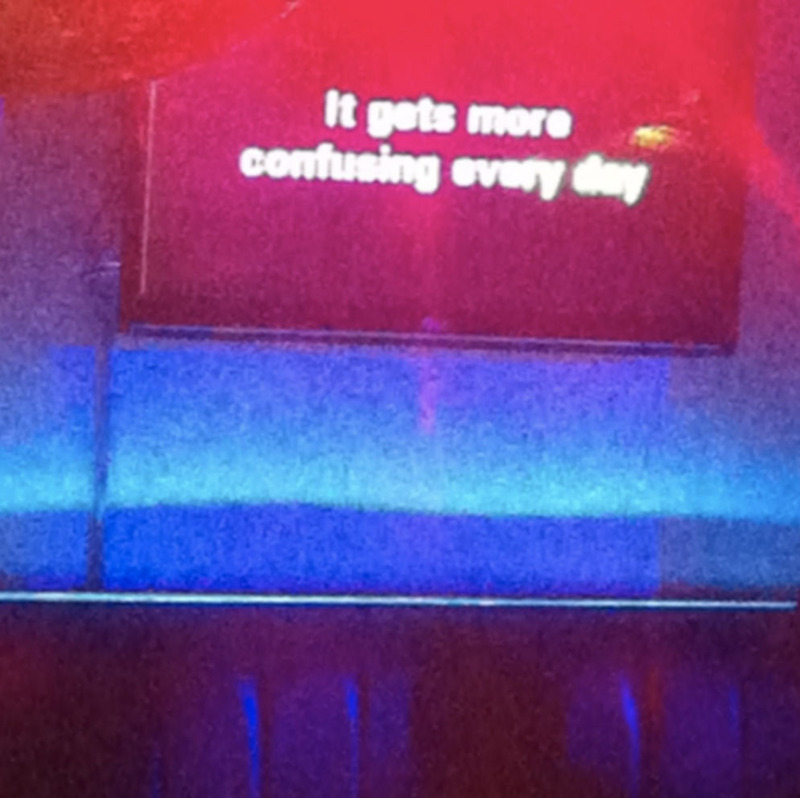 And what could be more literal than Karaoke? Literally reading letters off a screen as they literally change colour? To a song you’ve literally heard a million times? After you’ve literally had 9 pints? What else is being said by the people who sing these oversung songs, every Tuesday night at Brewers Bar, other than the words they’re singing off the screen? Imagine if the rules behind the public addressing system that displays song lyrics could be messed with to reveal something else about the people who sing them. Imagine a singalong where, when the letters tured red, only introverts got to sing. Or only people who grew up in the suburbs. Or only dog-people. Imagine if All CAPS was code for SING IT IN YOUR GRANDMA’S ACCENT.